This amazing accent chair is hand-crafted with a solid walnut frame. Built with traditional joinery, so there’s no need for hardware or assembly. The upholstered cushions have zippered covers for easy maintenance and washing. 25" x 36" x 32"
Decorate your home with this chic looking accent chair. A blend of yesterday and today is brought together with this versatile and stylish accent chair. This unique and versatile side chair will be the talk of any dining, living room, or office space. 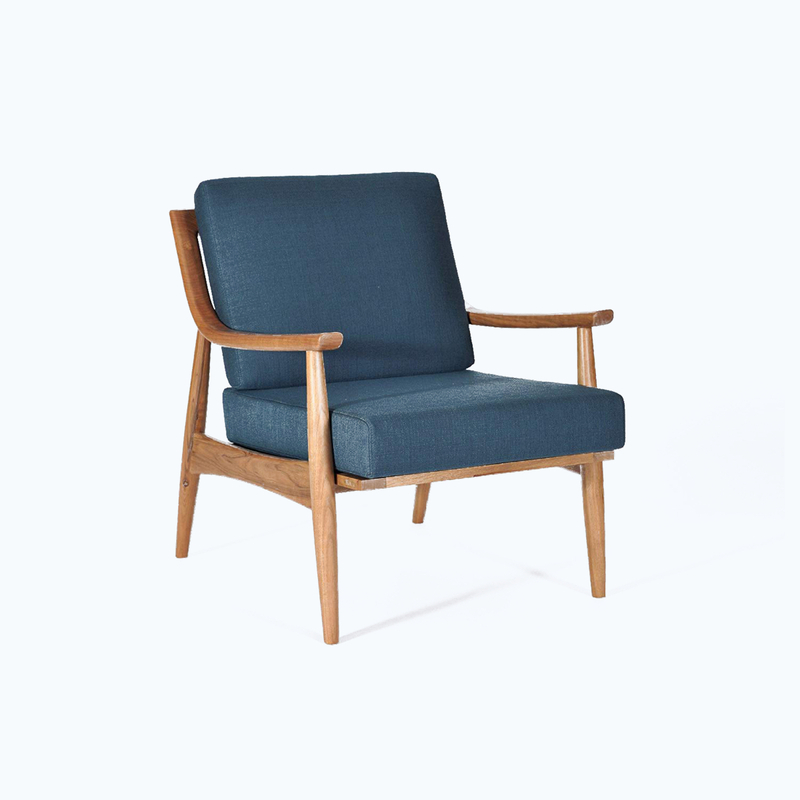 This incredibly stylish blue velvet lounge chair is elegant and fits as a single piece in virtually any room.